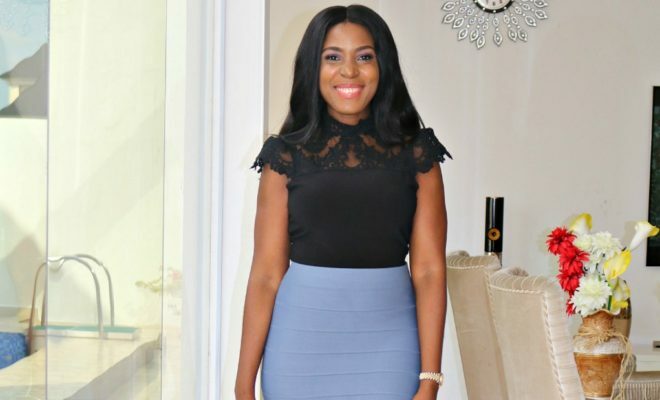 Popular Nigerian blogger, Linda Ikeji, 38, is out motivating her followers with encouraging words through the story of her life. Taking to her Instagram page, the mom-of-1 shared an inspiring story of her life journey to motivate and prove to her fans that delay is not denial. “The first time I stepped foot outside of Nigeria was in November 2011. I was 31. Before then, I’d never entered an international flight. I never had the opportunity to travel abroad and definitely couldn’t afford a holiday. I always wondered what the outside world looked like. The first time I stepped foot outside of Nigeria was in November 2011. I was 31. Before then, I'd never entered an international flight. I never had the opportunity to travel abroad and definitely couldn't afford a holiday. I always wondered what the outside world looked like. . Fast forward to 7 years later. Now I can travel to any part of the world I want…maybe even take 10 people with me and give them a luxury trip. And throw in shopping money inside sef…lol. . I have learnt through my own journey that delay is not denial. Sometimes things will come when it will come. You can't hurry it along no matter how much you work, plan or pray. What you need is patience and trust God's perfect timing for what is meant for you. God will come through for you as long as you keep the faith, refuse to give up and keep working. Sometimes the delay is God preparing you for greatness beyond what you even envisioned. So don't be down that you are not where you want to be now. Your breakthrough is coming! It may be taking a long time, but God didn't bring you this far to leave you and you didn't bring yourself this far to give up. So increase your determination, increase your drive, do everything with all your might and be patient. . Your time is coming! Oh, it will come…and soon! The question is; are you ready? Linda’s post received a lot of applause from her followers and many of them thanked her for speaking to their fainting hearts. As at the time of publishing this, her post had garnered 133,187 likes and 10+ comments.